And like her too—dying beneath neglect. Sarah Mapps Douglass selected the poem and drew the accompanying illustration for this contribution. 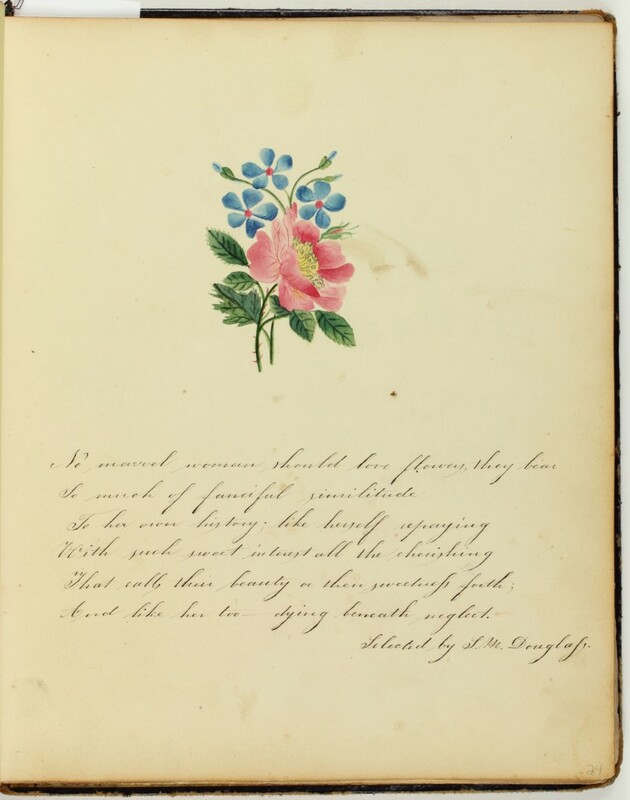 Given the number of entries Douglass contributed to the Cassey Album, she and Cassey likely had a strong relationship The poem is a much-reprinted (and frequently un- or misattributed) poem by the English writer Letitia Elizabeth Landon. 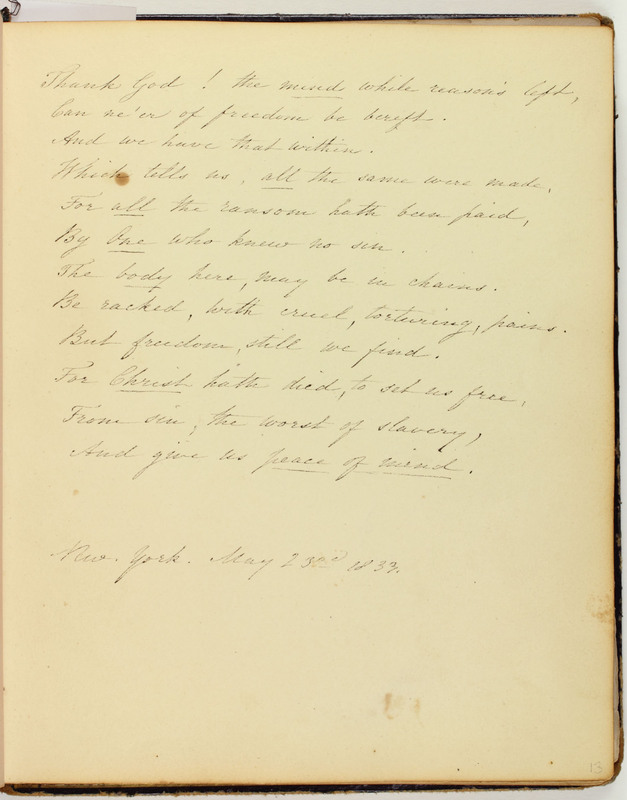 Page 24: Selected portion of a frequently published poem, including in the Ladies’ Miscellany (Salem, Mass., April 7, 1830).